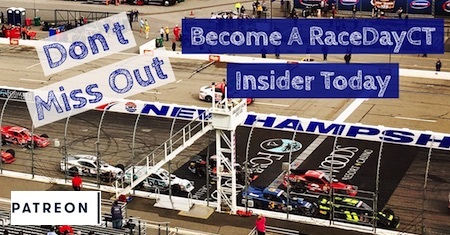 With the kickoff to the 2019 NASCAR Whelen All-American Series season at Stafford Speedway fast approaching, the track’s SK Light division continues to add to its 2019 rookie class. 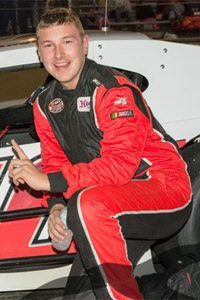 Oxford, CT native Nick Anglace will join his father Vinny as a 2-car SK Light team and campaign for Rookie of the Year honors behind the wheel of his #10 Anglace Racing Enterprises / Fox Pest Control Chevrolet. Anglace finished fourth in SK Light points as a rookie driver at Waterford in 2018 and he is looking forward to racing as a teammate with his father. I’m super excited about the ridiculously strong crop of new teams that are going to be racing in the SK Lights this year. Dad Vinnie appeared in only 4 races in 2018 with lackluster success. Is Nick really in for the full enchilada and competing for rookie of the year? Or is it a week to week thing and see how it goes? Then there are the new stands at Waterford with new enthusiasm. Could they return to Waterford if things aren’t going well? One thing is for sure. You’re going to need a strong motor. Doug his dad only raced here and there because he runs his own business and with limited help in pits on a Friday night. If you look at when he does show up like 2017 he was on podium almost everytime he showed coming from the back almost every week, not starting up front and staying there like some guys he raced his way to a second or third place finish. One Friday he finished putting car together in the pits no practice or anything started dead last and finished second so lackluster why cause he didn’t win? All these up and coming kids don’t have to work all day and then work on their cars oh wait they don’t even own there cars they are renting from spafco, rocco, French or paying these guys to work setup their cars big difference. And from what I know is they are still racing Waterford as well they have 3 cars being prepared for this year but again people don’t know these racers personally and love to just write what they think they know I’ve worked on Vinny’s cars back in the 1990’s when he started and have known the family for over 35 years I think I know whats going on and why more then you do…. Ive seen both Nick and Vinny race, Vinny in 2016 finished on the podium every single week, he also led a ton of laps but cautions would always disrupt him. Nick was impressive to watch at waterford this past year, he went out and immediately started running up front, finished 4th in points, when it was his first season, most of these other guys have been racing longer than hes been alive. im looking forward to seeing this kids career progress and hopefully he will one day join Joey Logano and Ryan Preece in the NASCAR Monster Energy Cup Series. Good Luck this year Nick! Go win some races!